You may remember last year when my hunt for snowdrops had me tricking Simon into driving over the border to Scotland to check out the impressive snowdrop display at Floor's Castle. Much to his relief, this year I decided to plan a snowdrop expedition far closer to home and one that used our much loved National Trust memberships. The snowdrops at Wallington in Northumberland are supposed to be some of the best in the North East and with some unexpected February sunshine putting in an appearance yesterday it seemed like the ideal time to go on adventure. I have to say that the National Trust properties in the North East really do spoil us with their beautiful displays of seasonal flowers and we're very lucky to have an impressive collection of snowdrops right on our doorstep. 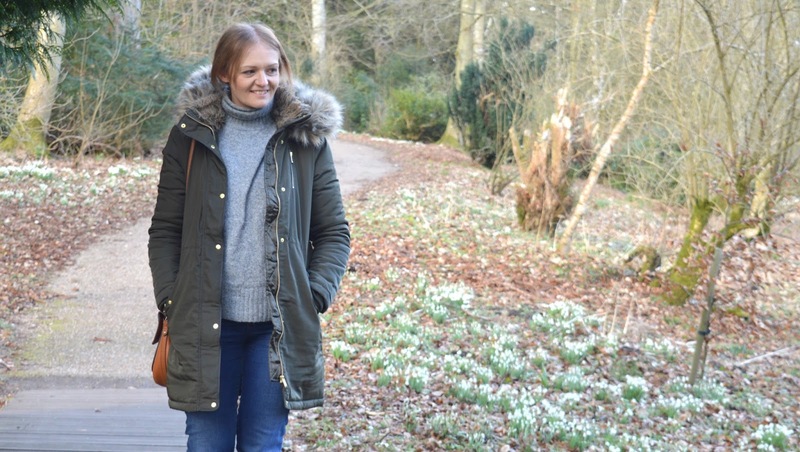 Since 2015, visitors to Wallington have been invited to help keep the beautiful snowdrop display thriving by planting over 600,000 snowdrop bulbs, ensuring that each year we are greeted with the most beautiful display of white flowers. As soon as we near the end of February I love to see snowdrops, for me it's the promise that Winter is almost over and Spring is ready to put in an appearance. Gone are the dark evenings and cold days, making way to a new start with beautiful flowers and sunnier skies. My first snowdrop spot of the year is always a special moment. 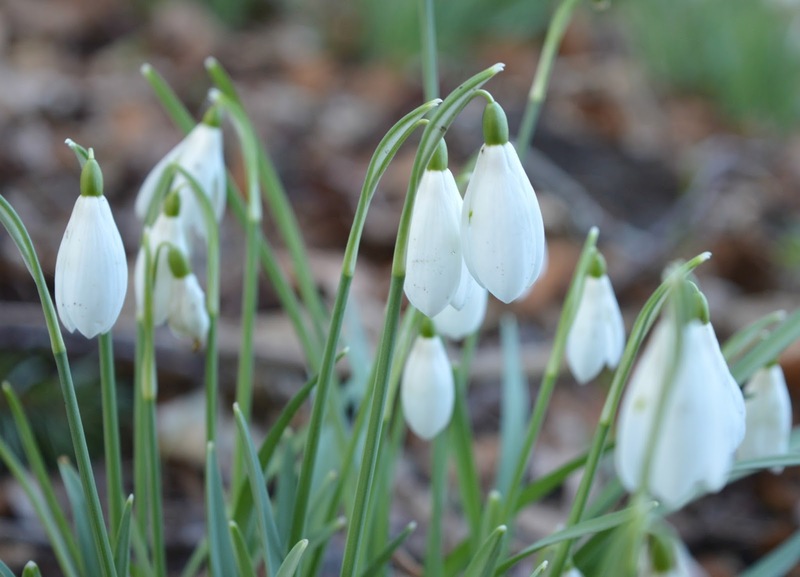 You'll find most of the snowdrops at Wallington in the East Wood, which was great news for us as it's a part of the grounds that we were yet to discover. We were impressed with the amount of beautiful woodland there is to explore and we've already decided we want to plan a return trip in the Spring. It wasn't long before we started seeing the little patches of tiny snowdrops, their brilliant white petals beaming out between the crispy brown leaves on the woodland floor. The stunning trail of flowers guided us along the paths between the trees and we strolled in happy silence stopping every now and again to appreciate the pretty little flowers. This is the kind of day that was made for a Sunday, absolute bliss! 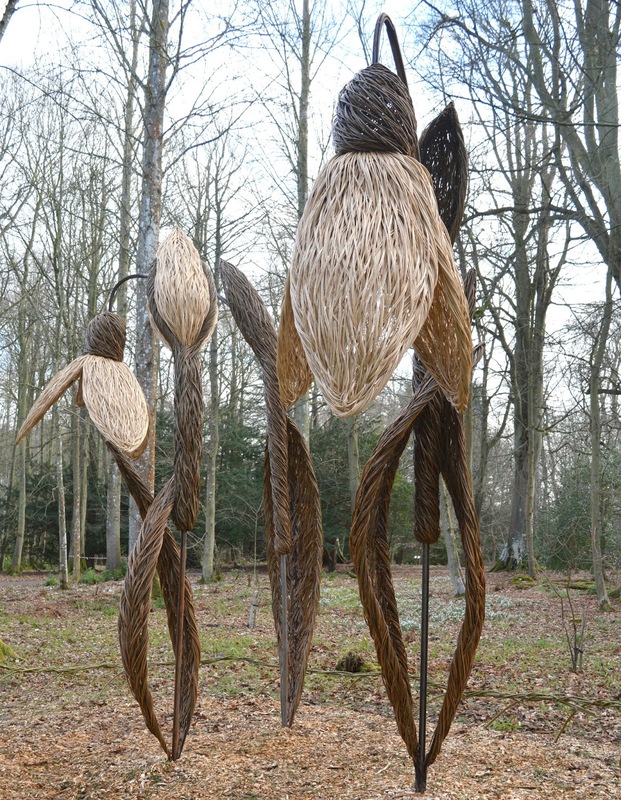 Turning the corner we soon discovered some even more impressive snowdrops, Eddie Glew of Bilthfield Willowcrafts has created this breathtaking snowdrop sculpture out of willow. It took him 200 hours to complete and stands 3 metres tall above. 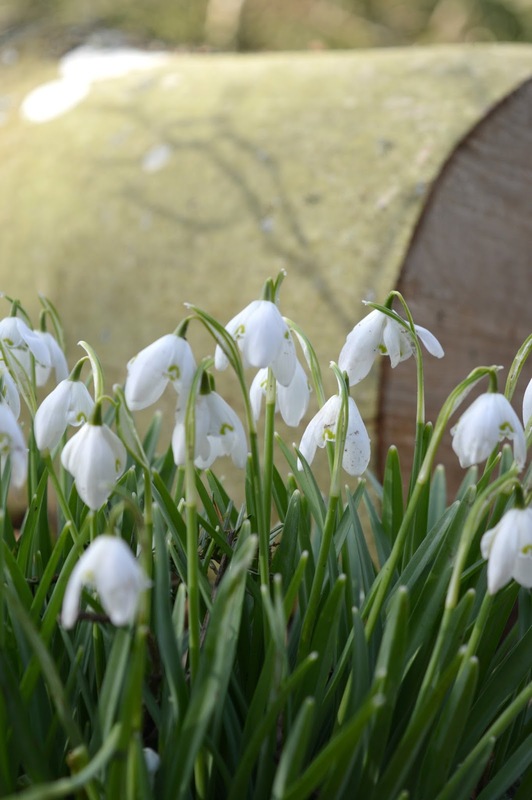 A beautiful celebration to the wonderful snowdrops we have at Wallington. Of course, every great National Trust adventure has to involve a little visit to the tea room and we were in desperate need of warming up after our stroll in the bracing Winter breeze. 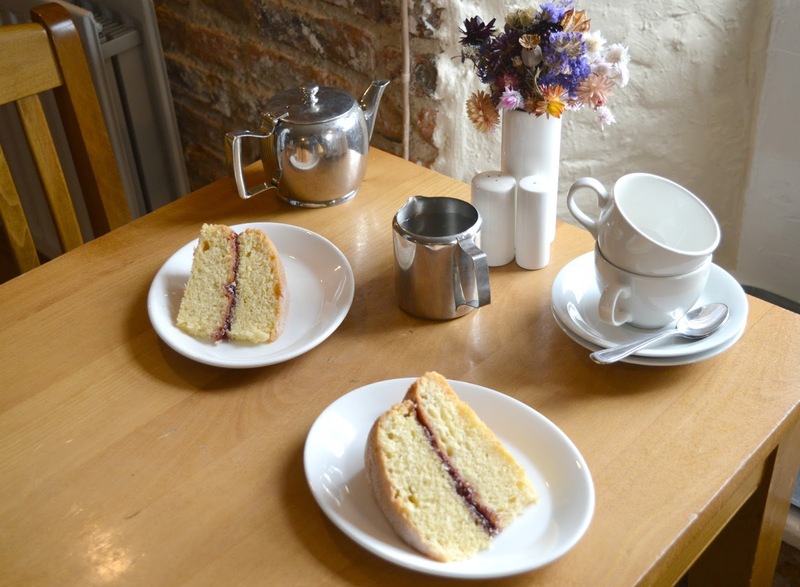 The Clocktower Cafe is always a great treat in the colder months as they have a lovely warm fire at the back of the tea room and plenty of delicious cakes on the counter. We both opted for a slab of Victoria Sponge with a pot of tea to share and it wasn't long before our bellies were warm again. I waited for my husband to stuff a particularly large piece of cake into his mouth before casually telling him about all the plans I have for next month. Snowdrop season might be almost over, but Daffodils are still to come, he didn't object, just finished his cake silently and rolled his eyes at me. Ah they look beautiful. 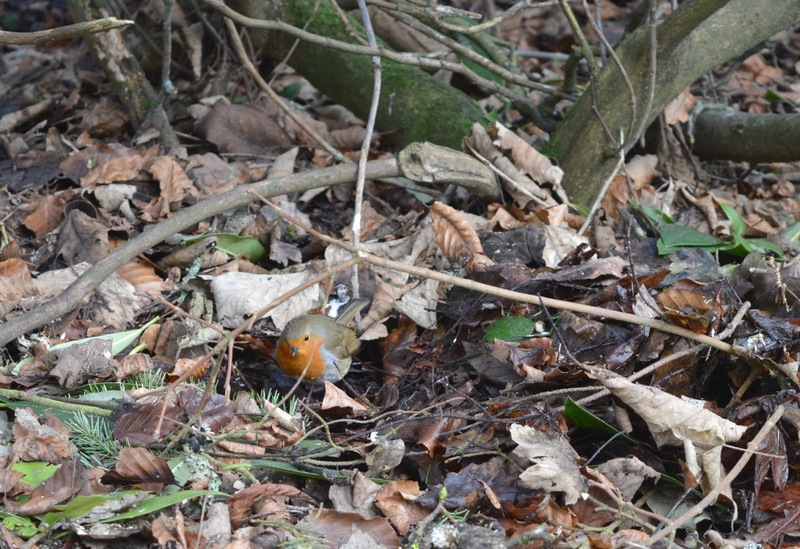 We spotted some at Fountains Abbey at the beginning of Feb but they were all buried in a part of the wood you couldn't easily get to. Still nice to see though! Yes, Warkworth is definitely on the list for next month as soon as the daffodils appear! I think Fountain's Abbey might have an impressive display as well! Ooooh I'm not sure, I'll have to find out! Snowdrops always signify that Spring is on it's way for me. This sounds like a perfect Sunday - nature, walks and cake! They are SO beautiful after the long dark Winter!